For you guys shooting the tsx and ttsx are you shooting behind the shoulder ; double lung shot ,or are you shooting a high shoulder shot ? Last edited by Stilllearning; 04/08/19. I shoot leg/shoulder, about the height of the top of the heart. Red dot in this photo is about where I shoot. Last edited by huntinaz; 04/08/19. I shoot the TTSX the same as any other bullet, I shoot for the opposite leg if they are at any angle at all. Pretty seldom do I get a perfect broadside and if I do I still try to crush bone. 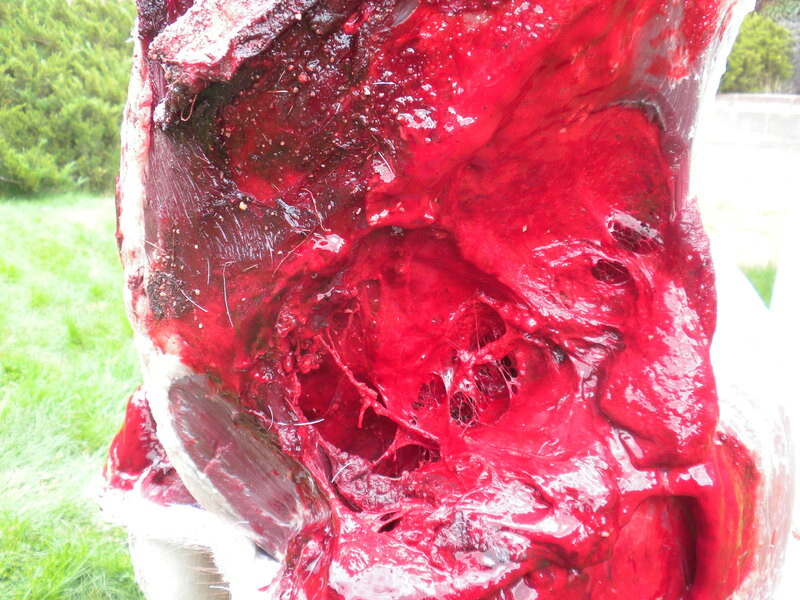 I think a lot of people make the mistake of shooting lungs with a monolithinc instead of targeting bone and meat. If you miss a lung shot and hit guts, a Berger or ballistic tip is more forgiving than a controlled expansion bullet. If I accidentily hit guts, I want a huge wound channel. If I want to break bones and still hit heart, I want a tough bullet and I aim for that spot. So I agree, aiming to exit the opposite leg is always a great spot to have a bullet smash through. With a Barnes, I shoot for bone either going in preferably, or at least on the way out. I like the behind the shoulder shot because I love elk meat. But if the elk is quartering away from you and you want to put it down fast "look through" the elk and see where the off-side shoulder is. 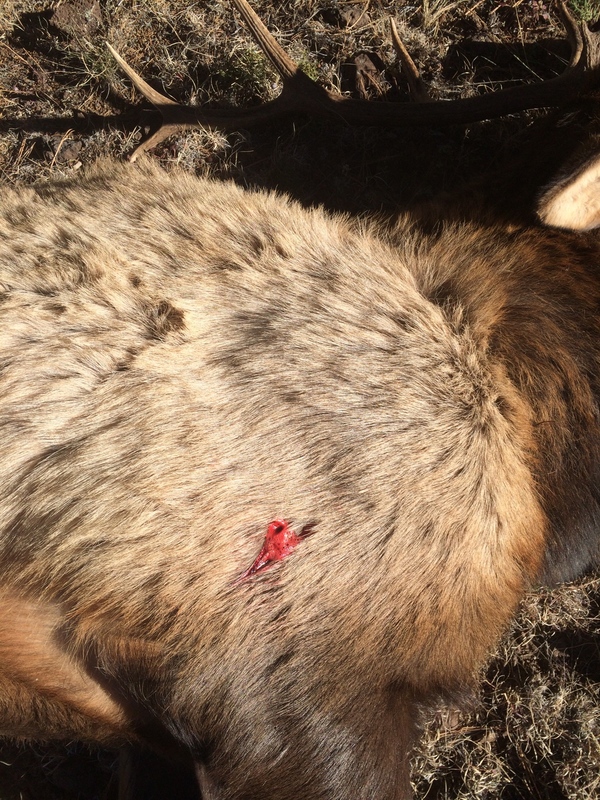 Shoot it in the "other" shoulder, and with a Barnes X or a Nosler partition and most heavy weight bonded bullets, the elk will fall at the shot of VERY soon thereafter. The bullet wrecks the lungs first and then breaks the bone or traumatizes the muscles close to the bone. 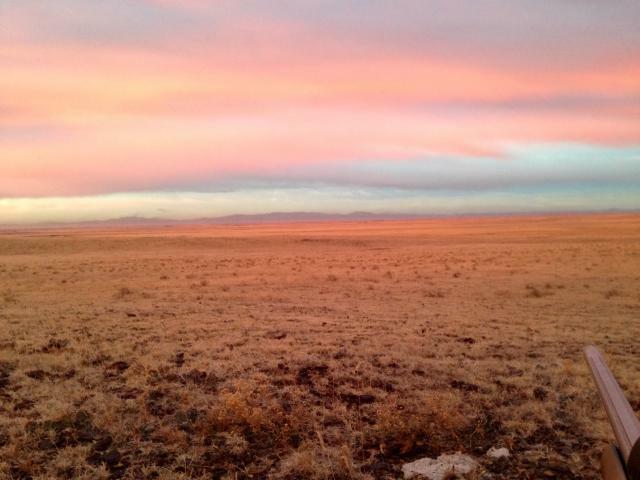 If the elk is quartering toward you shoot the same place, but at the shoulder that is closest to you. It breaks the bone and then destroys the lungs. From whatever angle I have a shot, I try to send the TTSX on a path that intersects the heart/lung area. Just imagine a soccer ball suspended below the shoulder blades and that's your target. Life Member NRA, RMEF, American Legion, MAGA. Not necessarily in that order. The first bull that I shot with a Barnes bullet was with a 168 grain TSX from my .300 Weatherby that I put just behind his right shoulder. The bullet exited just behind his left shoulder. At the hit, he turned 180*, took three steps and fell dead. 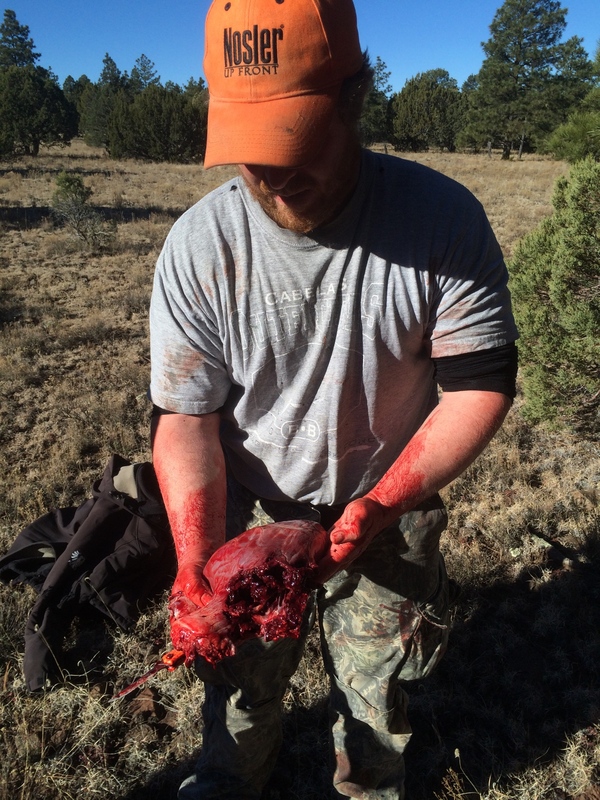 Probably the least amount of blood shot meat loss of any elk that I've killed. The next bull that I shot with a Barnes bullet was with a 168 grain TTSX also from my .300 Weatherby. He was standing quartering toward me, close to a fence on property that I didn't have permission to hunt. Even though I knew better, I put my crosshairs on the point of the bull's near shoulder. At the hit, he simply collapsed and slid down the slope toward me. The bullet had hit and shattered the upper front leg bone close to the shoulder blade, went through one lung, the liver, stomach, and stopped just under the hide in the front of the ham of the opposite rear leg. A quarter or more of the shoulder that the bullet hit was a blood shot mess. Like szihn, I love elk meat and I no longer have to kill the largest bull in the woods. On foreign hunts where I'm paying big bucks for the animals, I'll aim for shoulder shots, but for animals here at home where I want to save as much meat as possible, I want to place my shot just behind the animal's shoulder. 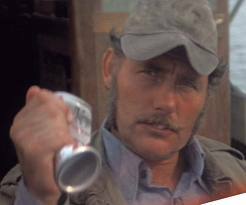 I have not seen shoulder shots anchor animals any faster than a tight behind the shoulder shot has.....with any bullet at anything but low impact velocity. Sometimes they shovelnose/run 20-30 or so yards and sometimes they fall instantly...so count me in the camp that avoids shoulder bone if possible, regardless of the bullet. A high shoulder shot is different....if the critter is standing next to a property fence or an abyss, or for whatever other reason it needs dropped ASAP. With critters sharply quartering to or from, I'll aim for the opposite shoulder but not to hit the shoulder.....I do it because that's where the biggest, most important part of the lungs are. To answer the OP's question, assuming at least decent impact velocity, I'll put a barnes tight behind the shoulder if I can. I have not found the need to crush bone with a TSX/TTSX to get good bullet performance, as others have. Through the scapula is a good shot too, but I avoid femurs if at all possible. Often times with a critter in the brush, at an odd angle or if they're walking it just isn't feasible to know where the scapula is consistently....and finding an aiming spot tight behind the shoulder is easier, and my best bet. I’ve shot two bulls with monos, both through the lungs. One with the 180gr original Xbullets out of a 30/06 and the second with a 130 Etip out of a 270Wby. Neither one went more than a couple steps. 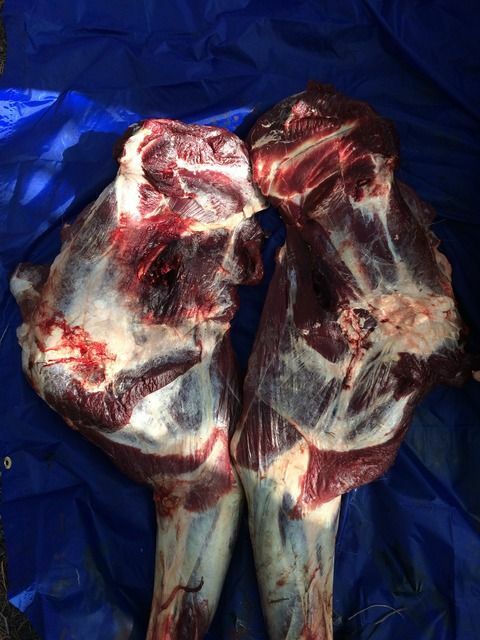 Here’s a pic of the inside of both shoulder of a bull elk I shot with a 7mm/140 TTSX, impact velocity would have been around 2600fps. 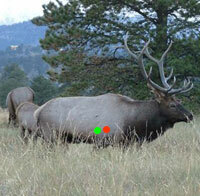 Bullet hit a little higher than the red dot in AZ’s picture above, and the bull was perfectly broadside. 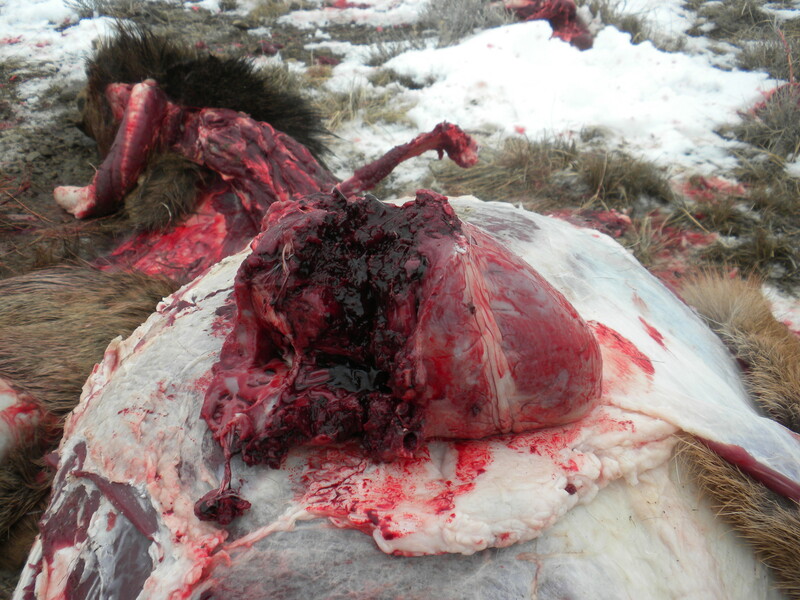 At the shot, the bull hunched up and staggered about 20-30 yards before going down. Bullet broke both scapulas, and a couple ribs... before exiting for parts unknown. There was very little meat damage, but that little bullet did some serious work. Where ever I can shoot 'em that's lethal. I have neck shots and heart shots. I'm a fan of neck shots if possible.. but heart shots work as well. I try to avoid hitting the shoulder bone. I don't know why but elk with heart shot drops a lot faster than a deer. Last edited by Dre; 04/13/19. With a Barnes or ANY other hunting bullet I use, it will be stout enough and heavy enough that I can pick my path through the vitals regardless of the angle presented on the animal hunted, I wont sit staring into my fireplace drowning myself in 190 proof alcohol lamenting the fact that the animal didn't present me with a good shot opportunity. 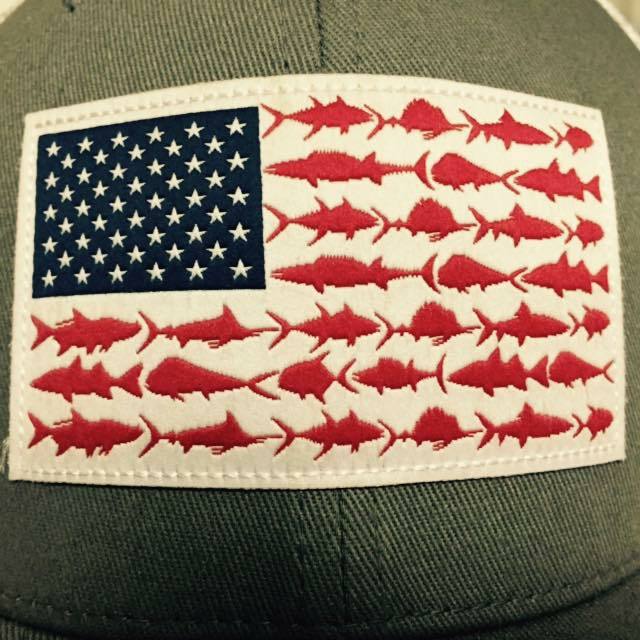 Good luck, and good hunting to You. At the January ISE show in Denver I booked a combination Moose and Woodland Caribou hunt in Newfoundland. Because of the high probability of some wet weather on that hunt, I won't be taking my Fancy stocked .300 Weatherby. Instead, I'll be using my Stainless, plastic stocked Rem 700 in 7mm Rem mag. For the past 10 or so years I've had very good results with 160 grain Accubonds in that rifle, however since I've also had very good results with 168 grain TSX and TTSX bullets and 180 grain TTSX bullets in my .300 Weatherby, and 270 and 300 grain TSX bullets in my .375 RUM I decided to try 160 grain TSX bullets in my 7 mm RM. These bullets are proving to be accurate in my rifle with many 3-shot groups printing sub-moa, and the best printing .75 moa at 2875 fps. Come September, I'm hoping to put a couple of these 160 grain TSX bullets just behind the shoulders of a Newfoundland Moose and Caribou. I always try for a lung shot but especially any shot over 500m almost always a quick kill with one shot. 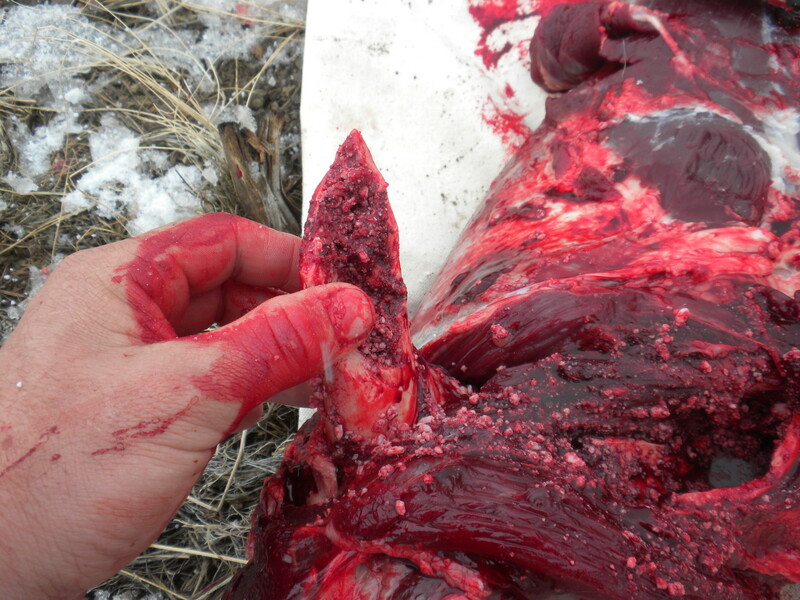 Under 500m I do not mind having to go through structure as most premium hunting bullets can get the job done even going through heavy structure.It has been my experience that Elk are not hard to kill! Moose is another story I find them much harder to bring down quickly and with one shot.